Recently, I spoke with the executive director of the Southside Virginia Community College (SVCC) Foundation about relaunching the Jeremiah Hamlett Memorial Scholarship Fund. 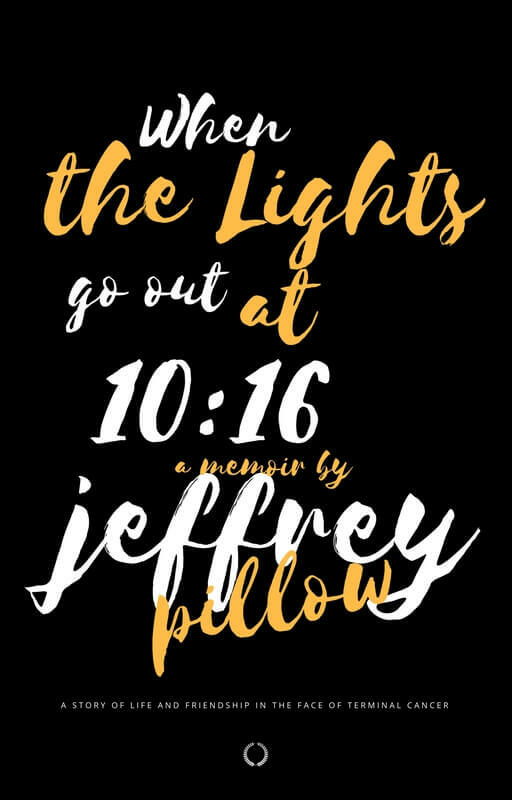 WHEN THE LIGHTS GO OUT AT 10:16, a memoir I began in July 2003, will be the vehicle which helps fund the scholarship in Jeremiah’s memory. Getting this scholarship fund back off the ground is something I have had my heart set on for a while. Continuing our story of childhood and friendship is also something that has been on my mind for quite some time, and I’ve struggled mightily with how to share it with others but in a way that it is more than just a story—a way that gives it purpose. So, I decided to marry the two ideas in this initiative. After all, it wasn’t until the summer of 2003, the night Jeremiah had his first seizure and subsequent diagnosis of brain cancer, that I ever began writing stories—WHEN THE LIGHTS GO OUT to be precise. Jeremiah’s diagnosis was also the reason I decided to return to college; and Southside, by way of a class assignment from Ms. Judy Lloyd, is where WHEN THE LIGHTS GO OUT really took off and went from a few random paragraphs in my green notebook to what it eventually became and is today. How will this blog fund the Jeremiah Hamlett Memorial Scholarship? I have created a separate section on my website where the story WHEN THE LIGHTS GO OUT will live and where I will breathe life into it on a daily and weekly basis. This link will take you there. The story will only be posted on this page, and not in individual blog posts as has been done occasionally in the past. Your donation is secure and can be made by credit card or debit card. PayPal handles the donation. Don’t forget to print your receipt to use during tax time. The end goal is to raise $10,000. If you enjoy what you read, toss a couple of coins in my hat and help me get the Jeremiah Hamlett Memorial Scholarship Fund up to $10,000. I am personally donating $500. My challenge to you is to donate whatever you can—whether that’s $5, $10, $25, $50, or $100 (or more). If you’re not a subscriber to this blog, I’d recommend you subscribe now. Here’s the link to do so. Although I will only send an update once per month about this topic, it’s a good way to stay in the loop. I’m about to go into an absolute flurry writing—in a way I haven’t done since I was 21 years old. Please note that if you subscribe you will also receive notifications about other posts on this blog. I’m not actively on social media, but I know many of you are.1 You can help get the word out by sharing the link to this new section with your friends, family, and fellow residents of Phenix, Virginia, and Charlotte County, or wherever you may live these days. Use this link. The more people that get to know Jeremiah and feel a connection to his story, the more people will donate to the scholarship fund, I feel. Writing is a journey; and with any journey, it’s good to have a passenger along for the ride. I hope you’ll be that passenger. Full details below. 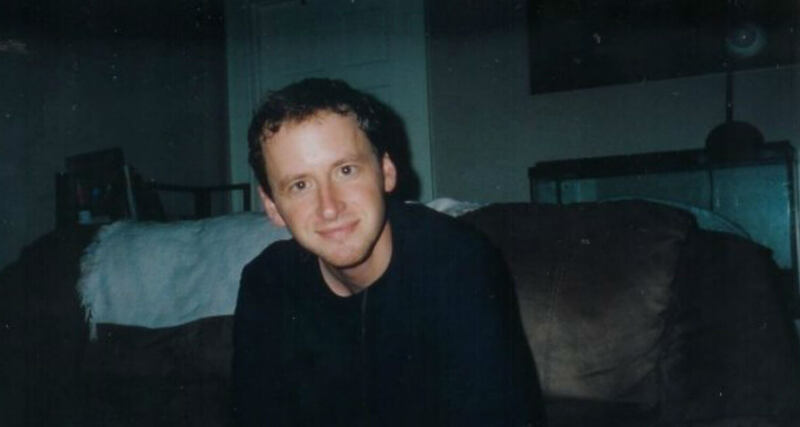 Over the last few weeks, I have been in touch with the executive director of the SVCC Foundation about reviving a scholarship fund I set-up following my friend Jeremiah’s death in 2007 from brain cancer. We talked about a few things. To make the scholarship more available to students in need, I will be adjusting the criteria of the scholarship. When the guidelines for the scholarship were originally written, they were done so to mirror a similar program as Jeremiah was once enrolled in at Southside, which is: the preferred applicant will be a former Randolph-Henry High School student, maintain a 3.0 GPA while enrolled at Southside, with the intent to transfer to a four-year university as a business major. The new criteria will be simplified to a 3.0 GPA with the intent to transfer to a four-year university. As of right now, there is a little over $1,600 left in the fund. In order for the Jeremiah Hamlett Memorial Scholarship Fund to be perpetual, it needs to be $10,000. That’s the exact figure I was given by the SVCC Foundation. Making up the additional $8,400 means we have a long way to go, but I have no doubt we will get there. Early on at the fund’s inception, we put on some 5K runs in Phenix, Virginia, to raise money. It’s been a while since then, and though I’d like to say the 5K raised a ton of money, the reality is, it didn’t—not when you take into account the amount of time and out of pocket money expenses to put it on. Crowdfunding through GoFundMe was the plan. However, after doing a bit of research, I grew increasingly uncomfortable at the possible tax implications for me since the money would initially go to me and not directly to the SVCC Foundation, which is a 501c3 non-profit. Not that I sat around reading crowdfunding horror stories, but there is story after story of people who have raised money for good causes who have in turn received a 1099 from GoFundMe, followed by a communication from the IRS seeking their cut. The situations aren’t isolated either, and when H&R Block and Liberty Tax both say “it’s tricky” and “the IRS may assume…” I’d prefer to steer clear of crowdfunding. GoFundMe isn’t exactly reassuring on their website either. If I was raising $1,000, I’d likely do GoFundMe. Just not $10,000. Plus, since the SVCC Foundation has a PayPal site already set-up, this will allow charitable contributions to go directly to the source—no middle man in GoFundMe (who also takes a nice cut)—and allow the individual donating to write it off on their taxes. You can’t do that with GoFundMe. I’ve long wrestled with the idea of how to write and share WHEN THE LIGHTS GO OUT on my blog. It’s been a bit of a pain point for me actually. Length wise, it’s somewhat of a beast coming in at almost 150 pages with roughly 100 pages of new and revised material awaiting a place in the story. And just about every page of the current 150 pages needs some tender loving care because, well, I wrote the bulk of this when I was 21 years old and then again at 24, and there’s a lot I’d like to re-work and/or cut from that time. Have you ever looked at anything you wrote when you were in your early twenties? Why go this route and not just post individual chapters? About a year ago, I started to post small sections from WHEN THE LIGHTS GO OUT on my blog. Since this blog is not entirely devoted to this one story as the sole source of writing material, what I found was that in posting it this way made for a lot of disorder, being that I’d post on entirely different topics other days (such as anxiety, parenting, random musings, coming to terms with my dad’s death). I also don’t want my blog to be a niche blog devoted to a single topic, because I wouldn’t get much pleasure limiting myself in this way. With that said, how can I solve for this quagmire? To create order from chaos, I am devoting an entire section of my website where WHEN THE LIGHTS GO OUT will live. In this section will also be my notes on what revisions were made and random thoughts related to the material in the footnotes. I also plan to include music playlists, photographs, drawings, and the occasional YouTube video with a scene from NERDS or THE CREATURE FROM THE BLACK LAGOON. The cool thing about doing it this way is that you’ll get to follow along in mostly real time and see the story come alive as I write it. It should be noted that I reserve the right to change whatever I want from one day to the next, so what you read one day may be different than what someone else reads the next. That’s just a natural part of writing and editing. The difference here is that you’ll see what’s on the cutting room floor. It’s been said by many a writer’s guide that a writer should bottle up every word of their story and not let any magic escape by rambling about it to friends and family or on the world wide web for that matter. Perhaps this technique of suppression works for most writers, but one thing I’ve learned in my life, and this goes for just about everything in my life, is that I pretty much don’t do anything the way everyone else does. It’s like giving a street musician a hard set of rules and telling him he can’t play his guitar in public unless he’s in a venue on a big stage underneath bright lights and intends on selling a million records. I consider myself a bit of a street musician when it comes to writing, and that’s fine by me. I’m not actively on social media, but I know many of you are. You can help get the word out by sharing the link to this new section with your friends, family, and fellow residents of Phenix, Virginia, and Charlotte County, or wherever you may live these days. Sharing my writing with people you dislike is also a great method of torture. The more views, the more likely money will get donated. It’s that simple. I’ve seen how much traffic a silly post such as “In Response to Phenix Being Named to the 10 Small Towns In Virginia Where You’d Never Want to Live” can drive traffic through a simple share on Facebook, so let’s do the same for a cause worthy of your support. How will I know when there are updates? If you subscribe to my blog, you get updates by email whenever a new post is published on my website. This page will be set-up differently. Because it will be continuously updated (sometimes daily), and because I respect your email inbox, you will not receive an email every time it is updated. I’d still recommend subscribing if you haven’t. Here’s why. Once or twice per month, I will post an update. It won’t contain all of the edits and text done to the story. Instead, it’ll just be a heads up that the page has indeed been updated and maybe a few bullet points on some (not all) of what was done if you’d like to go check it out. If you are not already a subscriber to my blog, just fill in the information below and click subscribe. If you already are a subscriber, you the real M-V-P.
I’m not here to rag on anyone for their use of Facebook or Twitter, etc. I may actually hop back on here in the next month or two and use it more mindfully. It’s been almost seven months since my last login when I made the conscious decision in February to be more present in my kids’ lives as well as to significantly reduce my anxiety levels, which get jolted at every login to social media. There’s some science behind how social media fuels anxiety and depression. For me, perhaps more than anything, it’s the overstimulation. I’m like a 6’4″ tall four-year-old and get overstimulated too easily with all of the photos and words and videos and status updates. Not to be confused with the the separate 5K that takes place every April at Duke University that raises money for brain cancer research, which I have not attended in years because of birthday parties. Both of my kids are born in April, as are my sister’s. So, I’m pretty much booked solid every Saturday in April and will be until my kids turn 12 years old or so and tell me they no longer want a birthday party and that being seen with their parent is embarrassing. I also found this drive from Charlottesville to Durham to be an inducer of depression following the death of my dad, because this was the exact route I took the morning he died. It was like re-living that day all over again and it was too much for me—and my sister, who said it did the same to her. I’m over that now. Now it’s just birthdays. Lots and lots of birthdays. And cake. Lots and lots of cake. And cupcakes. Mmm, cupcakes. When I rode a skateboard as a kid, I rode goofy foot; I shoot basketball as much with my left hand as I do my right, so much so that one of my old teammates in college asked me during a 1:1 drill which hand I shot with because he couldn’t figure it out; When everyone else worshipped at the feet of Michael Jordan in the 1990s, I did my best to emulate Scottie Pippen and Drazen Petrovic. You get the picture.